The Falcon shares its major components and chassis with the Mustang, which means that the aftermarket is plentiful and cheap. However, the real secret that they won't tell you in school is that the Falcon might actually be cooler than a Mustang coupe, especially when it has a sweet custom paint job. 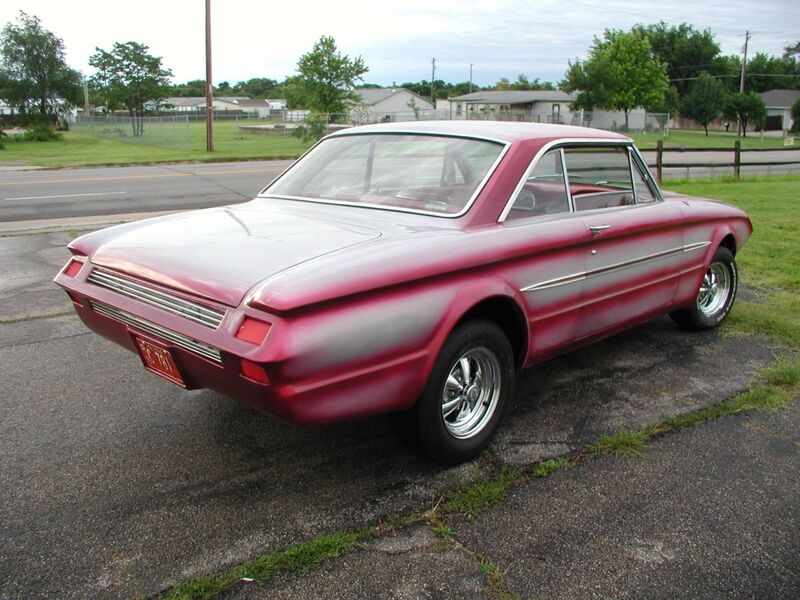 Find this 1963 Ford Falcon here on eBay bidding on eBay for $9,500 with 4 days to go, located in Wichita, KS. Tip from JB1025. Wow. 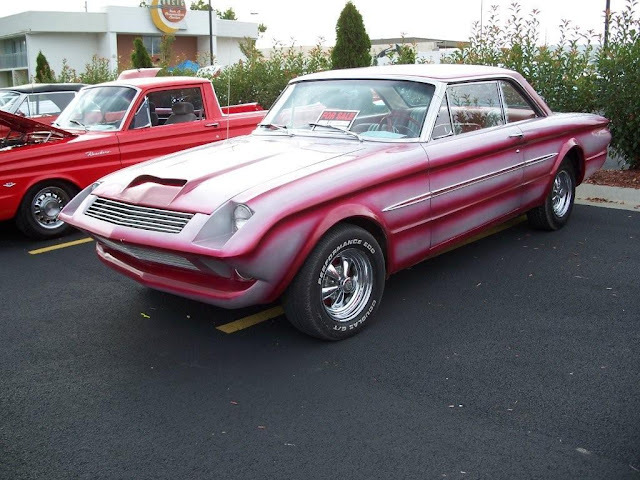 This is unlike any Falcon you'll see on this planet and reminds me of something from Death Race 2000 or Corvette Summer. The seller claims this car was built in Darryl Starbird's shop and owned by Jim Toyer, which is great street cred if you are into the Kustom hot rod scene. Paint was applied the old skool way: No mask or equipment and a box fan in the window of the garage paint booth. At least he covered SOME of his shelves with plastic drape to keep them from getting misted. Not sure how many noticed the reference to the old school method of achieving body shapes and contours with bondo. You can pretty much count on everything below the trunk lid and all of the front end to rely on gallons of bondo. Bondo, was basically the customizer's modeling clay. Shape it with your favorite abraisive, fine sand it, prime it, paint it. Oh my gosh, that photo brings back painful memories. I once helped a buddy to paint a Chevron Formula B car. We were using a two-part paint, in an unventilated garage, with what were basically dust masks. When we came out, we both lost our cookies on the front lawn. I can still remember the headache. I imagine you could still find signs of the brain damage if you cut me in half.